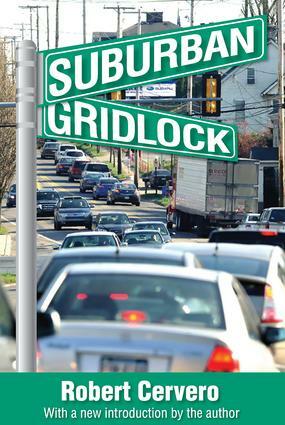 Robert Cervero documents the rise in suburban traffic around the country and examines the role of various planning, design, and management approaches in defining the automobile's growing presence in suburbia. The book highlights suburban business complexes and mixed-use centers throughout the United States that have been planned and designed to reduce auto dependency and to promote ridesharing, transit usage, and other commuting alternatives.Steps taken by various municipalities to enlist the support of private interests in reducing employee trip-making and financing area-wide roadway improvements are also examined. While the analysis is national in scope, detailed case studies offer in-depth insights into the many institutional and logistical problems involved in mitigating the impact of suburban congestion.The transportation planning profession has historically focused its attention and resources on downtown access and mobility problems. Suburbs, and places beyond, have long been considered havens for travel, free from traffic jams, and ideal for leisurely weekend excursions. Over the years, transportation planning in suburbia has involved little more than adding new projects to five-year capital improvement programs. This book remains essential for planners, administrators, and citizens interested in the future of suburbia and safeguarding it from the coming transportation crisis.